We are so excited to launch our creative collaboration classes! Our mission is to emphasize the importance of sustainability and working with your hands. We want to share the therapeutic joy that comes from the feeling of earth by both clay and soil. We invite you to come connect to the earth with us. Each class will meet twice. All materials will be provided. We encourage you to bring your friends and make it a peaceful and fun evening out! We promise you’ll come away feeling inspired, connected, and with fun new skills to translate into your daily life. 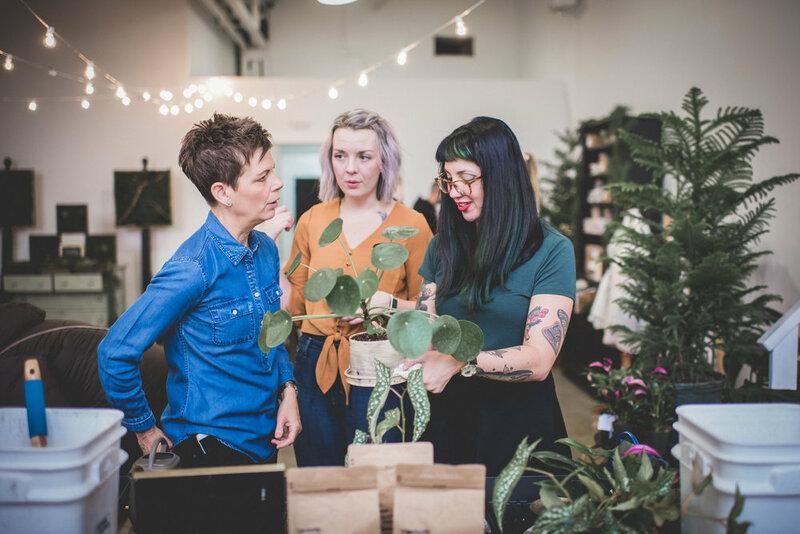 In our first class Sara will teach you the basic hand building techniques that you’ll need to construct a one of a kind handcrafted terra cotta planter. Make it as simple or complex as you feel comfortable with! 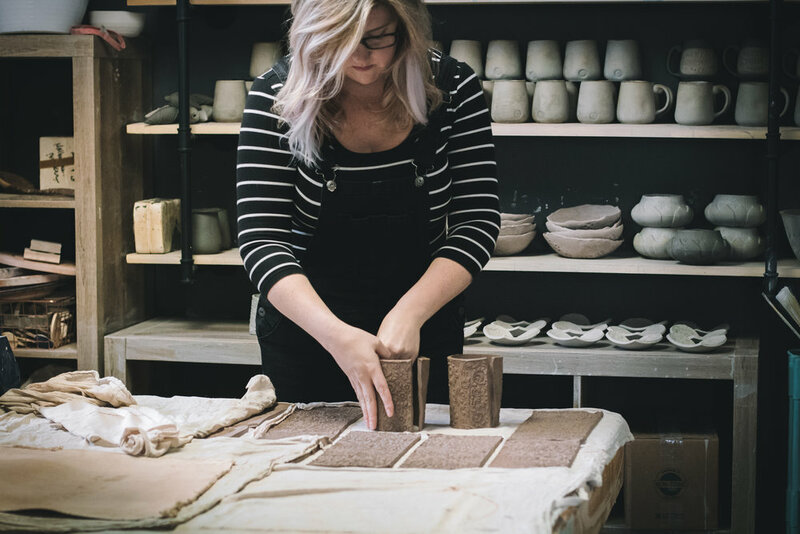 In our second class Shelby will teach you the proper way to care for and pot your very own plant in the newly-fired pottery you made during our first class! $27.50 per class, $55 total. A handcrafted terra cotta planter. An ethically sourced & very healthy starter plant. 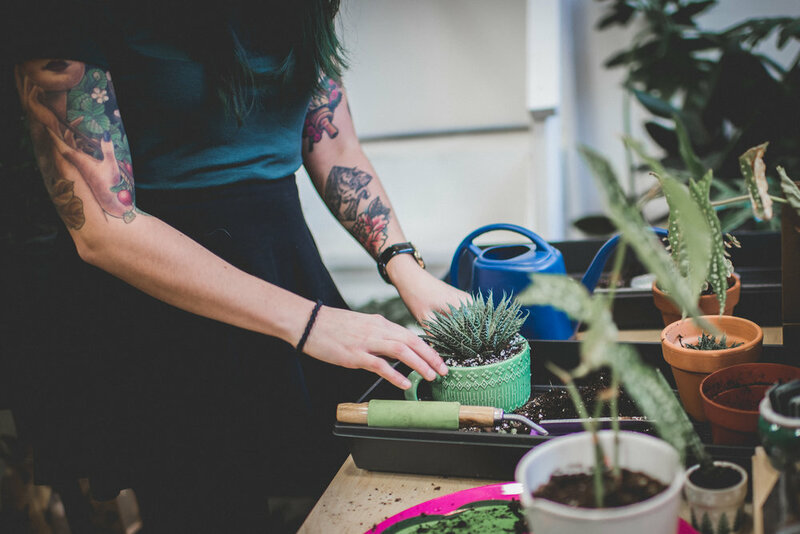 Valuable botanical knowledge to help care for all of your houseplants. 2 relaxing and informative nights out to embrace nature & Spring!